Bill HB 1289 Spot Checks passed the full house today. Representative Luke Simons and County Commissioner Carla Arthaud have done a great job supporting and gaining support for this bill which is so badly needed for fair market value assessments. This issue with assessments which will basically disappear with the passage of this bill because all the checks will be for market value so the assessors will make sure they are assessing properties at their market values. Right now, no one is spot checking for market value assessments so the assessors are not assessing at market value. This bill changes that. It ensures market value results with spot checks for market value result. These spot checks will give the commissioners a non-biased third party check of the values as a guide for all properties being questioned as to their market value not just the assessor’s opinion, which is not a non-biased opinion of value. The second part of this campaign is to get the Ryan Rauschenberger the Tax Commissioner to change the Sale Ratio Study to use these spot checks as supplemental sales thus bringing the formula to current market value rather than using up to three year old sales which have no validity in current market values. With the passage of HB 1289 and the change in the Sales Ratio Study everything would be focused on current market values for assessments and property owners would be ensured that their properties are assessed at market value. Only when all properties are assessed at market value are all property owners paying their fair share of the tax burden. The standard is and has to be fair market value assessments and spot checks are needed to ensure they are market value. Thanks everyone, for your support so far. One step at a time. Again, special thanks to Luke and Carla because they have been strong enough to stand up for fair market value assessments for property owners, the tax payers. If the State is to attract and keep investors then this issue of over assessments must be corrected. So, we ask Senate Majority Leader Rich Wardner rwardner@nd.gov and Senator Jay Elkin jayelkin@nd.gov to join us in support of HB 1289. If you would like to send them an email stating your support for fair market value assessments and spot checks to ensure they are. Please do so. We have to get it passed in the Senate before it can become law. As I said, One step at a time. If you have any questions please email or call me. Just received a phone call fromNorth Dakota Representative Simons that HB 1289 Spot Checks of Assessments was approved by the Committee with a vote of 10 to 3 in favor of the bill! As I understand it, the bill now head to the entire House but this was a big step forward as HB 1289 was given a green light by the committee. As most of you know, I along with others have been working very hard to get this bill approved so that there are spot checks of the assessments to ensure properties are listed on the tax rolls at their true fair market values. In other words what they would sell for. Plus, when a property owner appeals then a certain number of those appealed must also be spot checked for fair market value. The goal is to add accountability into the system for fair market value assessments. I want to thank everyone that testified at the committee hearing in favor of the bill, especially Stark County Commissioner Carla Arthaud. The legislative hearing date has been set for Bill 1289 Spot checks of real property. It is January 24, 2019 in the Prairie Room at the state capitol. Our goal is to stop over assessments but at the same time we want properties to be assessed at market value good times and bad. I will be flying back to North Dakota to testify in support of bill 1289 Mandatory Stop Checks. The protections were placed into North Dakota law to ensure all property values would be assessed at market value. That includes outliers. Without Spot checks all three are subverted so the Assessor’s Mass Appraisal Value rules instead of the State’s standard for assessments, which is true and full fair value or market value. If you haven’t already signed our online petition in support of mandatory spot checks please do. Several have ask how they can help. If you want to support the online petition? After you sign or have signed it a box will show Promote this petition. Click it and you can buy impressions for this petition on Change.org so it will show up more times. $100 buys 3,000 impressions. You can buy as few as $10 bucks worth or as much as you want. Every impression is appreciated. It is bill number 1289, if you want to see the bill or track it and see if we can get it passed into law then go to https://www.legis.nd.gov and put in the bill number upper righthand corner. For those of you on twitter please hashtag your comments and join the conversation #spotchecksnd. Have you ever had your property over assessed during bad times. Assessors love to raise values during boom times but sure hate to lower them in bust times. If you agree you can sign our online petition www.spotchecksnd.com or www.ndspotchecks.com either one will get you to the petition to sign with a just a click. NDCC 57-12-01.1 Spot checks of real property. 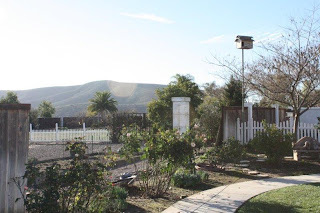 In case any person whose duty it is to list property with the assessor refuses to list such property or intentionally omits a portion of such property in the person’s listing as indicated by the spot check, the county boards of equalization, as a penalty for such refusal or omission, may make an added assessment on such property of twenty-five percent in excess of its true valuation. The board of county commissioners may select such persons or agencies as may be necessary to carry out the provisions of this section and provide for their compensation. End of Existing law. We want to change that! Make spot checks mandatory especially if some one complains that their assessment is too high. If I go to the bank and say something is wrong with my account they check my account. If I go to the water company and say there is something wrong they check my water meter but when I went to the assessor and said something is wrong with my assessments and I asked them to check my values they just refused to do it. In fact, it took me three years just to get the assessor to do a drive by. This is just not right! Since I wasn’t getting anyplace with the process (until this year) I decided to change the law and make spot checks mandatory and as of today we have a bill 1289 and we have 7 legislators co-sponsoring the bill. Plus I have already received phone calls from two more legislators that said they plan to support the bill. No you don’t have to live in North Dakota to sign the petition, you just have to believe in honest fair market assessments of all real properties in good times and bad times. We want to show the legislators that this isn’t just a North Dakota issue but an issue that happens every time there is a boom and then a bust in almost any community. We are not complaining about the taxes we are complaining about the assessments because if everyone is assessed at their fair market value then everyone will pay their fair share of the tax burden. The best way to ensure that is with independent spot checks of the assessments. If the assessor knows his assessments are correct then he has nothing to fear from spot checks but I believe the reason the City, the County and the assessor oppose this bill so much is they know their assessments are wrong and have been wrong! So how can you help? Simple, we are not looking for money. We just want your support by signing the petition and posting links to it on your facebook and your other social media accounts. Richard a friend of mine sent following to all the people in his email. A good friend of mine, Carlos Royal, has been fighting the tax assessor in Dickinson, North Dakota for years because the assessor has valued some property he owns there way too high. He has been working with the state legislature in North Dakota to pass legislation requiring that the city and county assessors in the state perform spot checks using certified appraisers to verify property valuations and adjust their valuations accordingly. Here is a link to a petition he has started which tells his story. Please take time to read it and sign the petition if you agree: http://chng.it/FmnzbKqNxV. I have found it very compelling and have signed the petition. An easier link is www.spotchecksnd.com and for twitter #spotchecksnd If you want to use Richards email as a guide/copy I am sure he wouldn’t mind. Please go to the link and sign our petition. We don’t want your money just your support for fair, honest and market value assessments in good times and bad. It has been a long battle but finally the Stark County Commissioners agreed to reduce my properties’ assessed values, the first time they have done so in Stark County in history at an abatement hearing. I received word that the City of Dickinson is also going to review all their commercial property assessments in 2019. So it was not just a victory for me but for every Commercial property owner in town, which includes apartment owners. I am still working to change the law to make spot checks of property assessments mandatory in North Dakota. The Bill will be presented to the State Legislators next session in January. If a person notices on his receipt register that he has been over charged, as in charged double for an item, doesn’t he have a right to return to the store with his receipt register and get a refund for the over charged item? That is all I want to do. The store shouldn’t get mad at the customer for returning to the store, they should give the customer a refund and fix the problem. I am not saying the store over charged everyone, but they may have if they have a faulty pricing system that causes the register to ring up the wrong price. Only they know if it applies to everyone or just me. I am only requesting my refund. In this case, you (the Country Commissioners) have oversight responsibility to spot check the price and see if I was overcharged or not and issue a refund if I was. That is all I ask you to do. Verify the price. Since time is limited at the hearing, I have attached a link to a short video Assessment Appeal 2017 for your review and to be included in the record for your consideration. I have also attached all the documents in pdf form, so you can review any of the slides in enlarged detail. In addition, I have included a short-written response to the “City’s Rationale” for denying 4 out 5 of my claims and only partially approving one of the claims. I would call the City’s Rationale more “irrational” than rational. As proof, I have also attached the emails from Jason Hopfauf, president of Dakota Community Bank, and the price opinion letter from Terry Clement of West Plains Realty. If you have any questions or need “more” information, please let me know. If you want to send the County an Email supporting me? The president of the County Commissioners is Jay Elkin, jelkin@starkcountynd.gov and the Mayor of Dickinson is Scott Decker, Scott_Decker@ndsupernet.com . I know you probably don’t live in North Dakota but fairness is fairness around the world, so please let them know over assessing property is just not right. No owls but lots of other birds passing through on migration. Donna is doing great and knitting daily. As you can see from the video Austin is a genius who brilliance is starting to show. If you fly into the San Diego Airport it is hard to miss his Graphic Design Work on the buses and displays. I am off to North Dakota this weekend to make my case. Wish me luck! Someday I will get fully retired. Hope you had a Happy Thanksgiving, we did, our grandson and granddaughter hosted the event this year. I’ll let you know how it goes when I return. 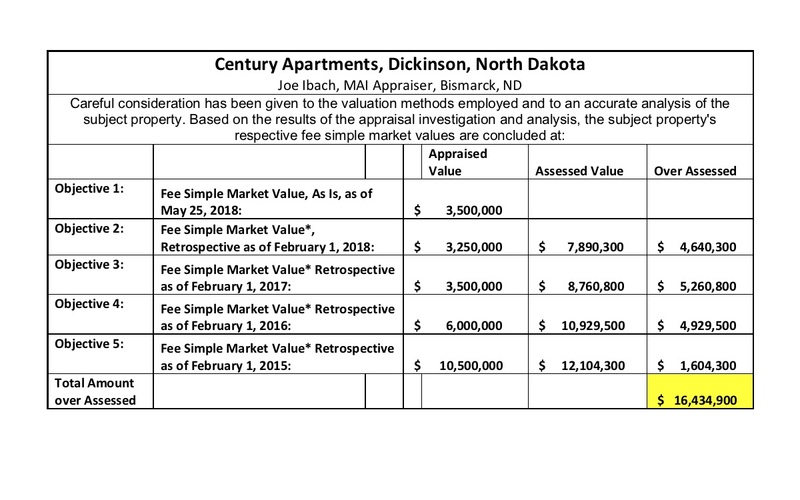 Here is a link to a post on my continuing battle to get honest and true fair market real estate value assessments in Dickinson, North Dakota. My assessments are not off 15% or 20%. No, they are off by 100% to 634% based on independent fair market value evaluations. They raise the values to match the oil boom but have refused to lower them to match the oil bust. Apartment boom has been over since 2013. All I have asked for is for them to list my properties on the tax rolls at their true and full fair market value as per the law. 100% of all property appeals have been denied in Dickinson. I have offered a very simple solution. Just order an independent appraisal of one of my properties to spot check the assessment value. If they are 100% sure the assessor’s value is correct, why not order an independent appraisal and shut me up? I think they are afraid of the truth! I even offered to pay for the appraisal. We have no Owls. I have not even seen one fly over this year. We do have kestrels plus a killdeer nesting with 4 eggs. Austin is doing great and says, “Hi” to everyone. Ashley has gone into real estate and has just closed her first sale. Wahoooo! Donna and I are doing great and loving life. We watched the girls NCCA college basketball championships on TV. What fun they were! This was hand carved by long time friend and old Navy buddy of mine that lives in Virginia, Cliff Campbell. He has always been a master woodworker. He is the one that showed me how to make a sculptured rocking chair some years ago. Today he has turned his talent to wood carving and as you can see he is becoming a real master at that too. We had a little fun with the Sculptured Rocking Chair and asked “Why should a functional object be worth less than a useless object called art?